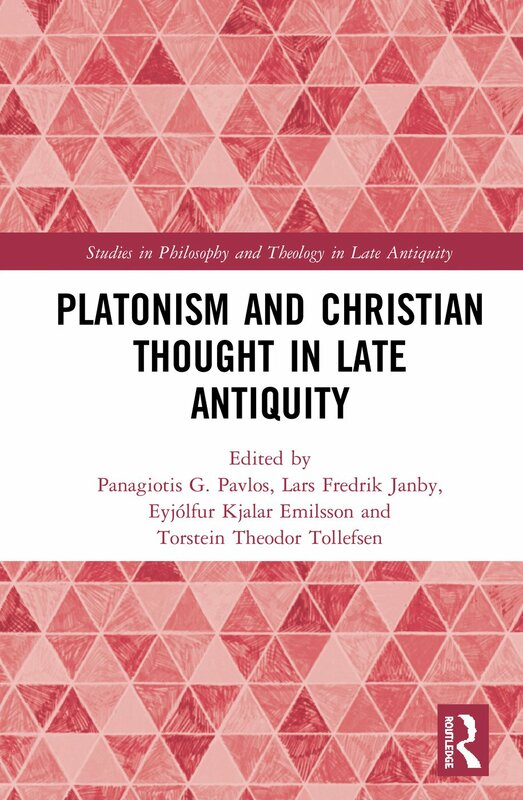 Platonism and Christian Thought in Late Antiquity examines the various ways in which Christian intellectuals engaged with Platonism both as pagan competitors and as a source of philosophical material useful to the Christian faith. The chapters are united in their goal to explore transformations that took place in the reception and interaction process between Platonism and Christianity in this period. The contributions in this volume explore the reception of Platonic material in Christian thought, showing that the transmission of cultural content is always mediated, and ought to be studied as a transformative process by way of selection and interpretation. Some chapters also deal with various aspects of the wider discussion on how Platonic, and Hellenic, philosophy and early Christian thought related to each other, examining the differences and common ground between these traditions. Platonism and Christian Thought in Late Antiquity offers an insightful and broad ranging study on the subject, which will be of interest to students of both philosophy and theology in the Late Antique period, as well as anyone working on the reception and history of Platonic thought, and the development of Christian thought. Panagiotis G. Pavlos is Research Fellow at the Department of Philosophy, University of Oslo, Norway. His main interests are Late Antique metaphysics, cosmology and the early Christian philosophical tradition, with an emphasis on their interaction. His doctoral dissertation examines the concept of aptitude (epitedeiotes) in Late Antique and Early Christian thought. Lars Fredrik Janby holds a Ph.D. in History of Ideas from the University of Oslo, Norway, where he defended a thesis on Augustine’s encyclopedic project. His research focuses on Christian receptions of classical material in Late Antiquity. Eyjoìlfur Kjalar Emilsson is Professor of Philosophy at the University of Oslo, Norway. His research interests include topics in metaphysics and ethics in the ancient and late ancient classical philosophical tradition. He is the author of four monographs and numerous articles on ancient philosophy, focusing on Plotinus in particular. Torstein Theodor Tollefsen is Professor of Philosophy at the University of Oslo, Norway. His main interests are metaphysics and cosmology in late antiquity and early Byzantium, and the tensions and interactions between pagan and Christian thought in that period. The Studies in Philosophy and Theology in Late Antiquity series focuses on major theologians, not as representatives of a 'tradition', whether Christian or classical, but as individuals immersed in the intellectual culture of their day. Each book concentrates on the arguments, not merely the opinions, of a single Christian writer or group of writers from the period A.D 100-600 and compares and contrasts these arguments with those of pagan contemporaries who addressed similar questions. By study of political, social, and cultural milieu, contributors to the series show what external factos led to the convergence or divergence of Christianity and pagan thought in particular localities or periods. Pagan and Christian teachings are set out in a clear and systematic form, making it possible to bring to light the true originality of the author's thought and to estimate the value of his work for modern times. This high profile research series offers an important contribution to areas of contemporary research in the patristic period, as well as providing new links into later periods, particularly the Medieval and Reformation.